The first step in getting to Myrtle Beach is making the decision to take your golf retreat to Myrtle Beach. After you have done your research choose a vacation date and make your reservations for accommodations. The next logical decision you will need to make is how you are going to get to Myrtle Beach and the fantastic golf courses that await you there. There are a few options for transportation into the Myrtle Beach area. The Grand Strand is served by Myrtle Beach International Airport. It will be fast and simple to catch a flight into the city in order to get to onto the championship golf courses and begin your vacation as quickly as possible. The Myrtle Beach International Airport is located on the south end and offers service for many popular airlines including Delta, Spirit, United and US Airways. 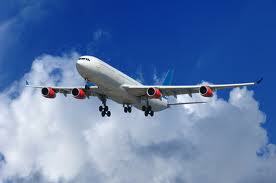 There are many departure cities that offer non-stop flights into the Myrtle Beach. The airport is about a mile from the Atlantic Ocean and is easily accessible from U.S. 17. In addition to Myrtle Beach International Airport there are several additional smaller airports that service the Myrtle Beach area. The Grand Strand Airport is located between U.S. 17 and the Intracoastal Waterway. This airport provides service to private and corporate aircraft. The Conway-Horry County Airport is located west of Conway and also provides service to private and corporate aircraft. The Loris-Twin Cities Airport is northeast of Loris and is a public-use, unattended airport. Another method of arrival in the Myrtle Beach area is to take a ride on a train. Amtrak has stations near but not in Myrtle Beach. The closest station is in Florence, SC which is about 70 miles from the city. The second option for Amtrak is to arrive in North Charleston, SC which is a bit further than Florence but also offers bus service into Myrtle Beach. The thing to keep in mind when choosing this method of transportation is that you will need to make plans for the final miles into the city. An inexpensive way to get to the city is to hop on a bus. Greyhound offers bus service into the Myrtle Beach area. If you are looking for a mode of transportation that offers a great variety and flexibility in scheduling Greyhound may be just what you are looking for. Greyhound can even ship your golf clubs for you. If you want to bring your golf clubs the best option may be packing up your car and making the drive. Part of the attraction to making the drive to Myrtle Beach is that you can move at your own pace, stopping when you need to and seeing the sights along the way. Having a vehicle in the city takes the worry out of arranging final transportation to your destination. It will also make it easier to get to the golf course and other attractions or activities that you may want to explore. No matter how you get to Myrtle Beach for your golf vacation you are sure to have the time of your life once you arrive. With more than 100 golf courses on the Grand Strand and more than 60,000 units available for accommodations you are sure to find just what you are looking for to insure a fantastic golf retreat in Myrtle Beach. The first step in getting to Myrtle Beach is making the decision to take your golf retreat to Myrtle Beach.